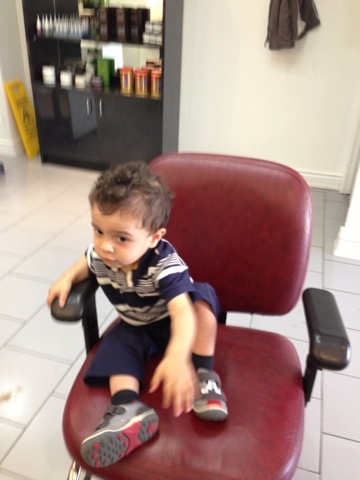 My mother inlaw is a hairdresser and little K had his first haircut! My little guy's hair grew in pretty slow! But it's been getting out of control these days so it was time for a haircut! 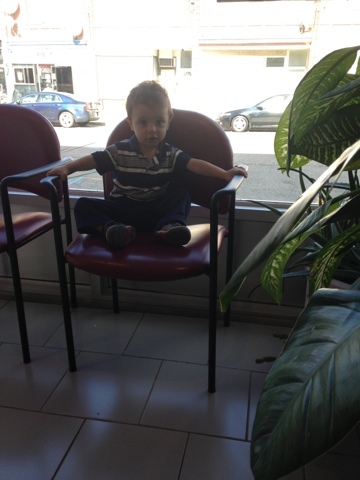 When we first got him to sit he refused and just yelled NO NO when we touched his hair. 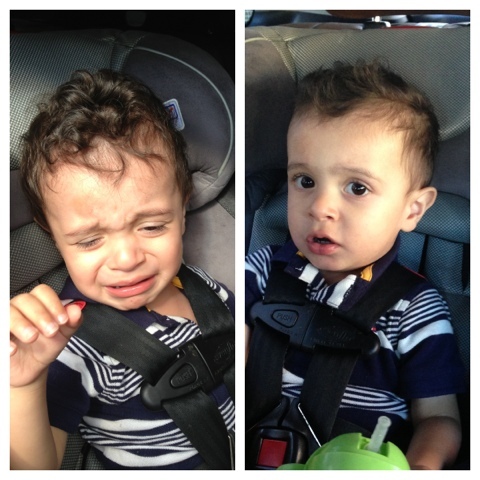 We thought we wouldn't be able to cut his hair today! He was just not having it! 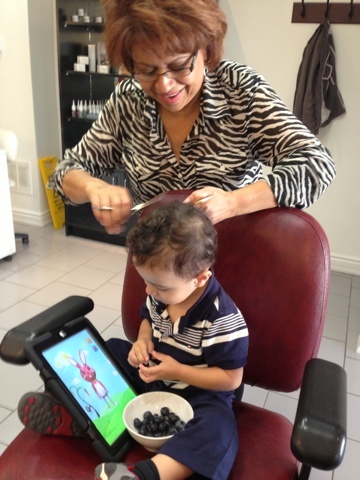 But the second time around we had the help of the iPad and blueberries ha! He ate and pretended to feed the bunny his blueberries and that kept him occupied! Mil had to work fast! I'm sooo happy he sat through it!! 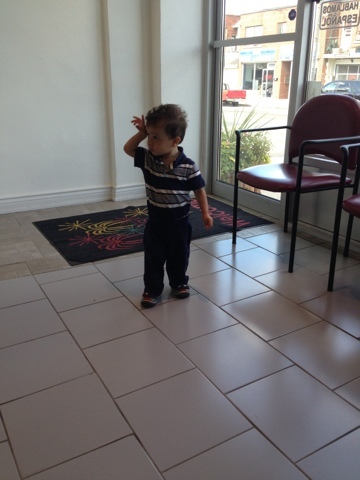 He looks sooo cute with his new haircut!! !